The Simsbury Chamber of Commerce invites all members of the community to attend the Farewell Party in celebration of the first ever townwide Public Art Trail. On Thursday, October 4, from 5 to 8 pm, the luxurious, high-profile Highcroft Apartments will host an Oktoberfest-themed cocktail party in recognition of the smashing success that the outdoor exhibit has achieved over the last few months. The event will feature a delicious spread of food from Fitzgerald’s, a Simsbury staple for high-quality groceries and fresh items, in addition to a selection of beer and wine. Live entertainment will be provided by Connecticut DJ John Voket. John has worked as a professional musician and DJ since the 1970’s and has performed at some of Connecticut’s premier venues, including Toad’s Place in New Haven, The New Haven Green, and Bridgeport’s Acoustic Café. He has simultaneously served as an on-air personality for 99.1 WPLR and STAR 99.9 FM. 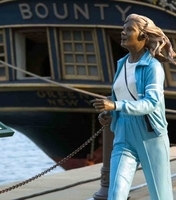 The 32 lifelike sculptures, hand painted by Seward Johnson, have received so much attention and positive reception, that the Simsbury Chamber of Commerce extended the Art Trail through October 27th. “We could not have imagined a more successful and enjoyable summer here in Simsbury. People have travelled from all across the U. S. and the tri-state area in order to visit these sculptures,” said Lisa Gray, Executive Director of the Simsbury Chamber of Commerce. “Our Farewell Party will give us one more chance to express our gratitude to our sponsors that made the Art Trail so successful, while offering a powerful networking opportunity for Farmington Valley business owners, and a fun night out for residents and visitors! The sculptures will remain in Simsbury until the conclusion of The Richman Spooktacular Chili Challenge, an internationally-sanctioned chili cookoff that attracted more than 3,000 guests and over 40 chili cooks last year. Several of the sculptures will be accessible for final viewing at the event. There are still opportunities to sponsor the exhibit or the Farewell Party event, make a financial contribution, or volunteer for this unique art installation that celebrates the little things in life in an extraordinary way. Tickets for the Farewell Party are $35 per person and include two complimentary drinks. To purchase tickets, call (860) 651-7307 or visit www.simsburyarttrail.com. For more information about DJ John Voket, please visit www.johnvoket.net. For sponsorship information contact Lisa Gray at info@simsburycoc.org or call (860) 651-7307.